It's hard to transition to a healthy lifestyle. Most people like me fall for these bad diets that are starving your body of what it needs leading to relapse and thus starting the diet train. Often enough there is a food addiction. This is me hands down. After reading PURE, I found that my addiction to food causes nutritional habits that could be resulting in low self-esteem, poor health, low energy, pre-diabetes & of course, major weight gain. The book is full of great easy to follow recipes. Not just food but also some smoothie ones as well. All aimed at helping you change your eating habits. "PURE 5:2 presents timeless information taking you to the root of healthy eating using Intermittent Fasting, Intuitive Eating and Raw Food Cuisine for life changing results. 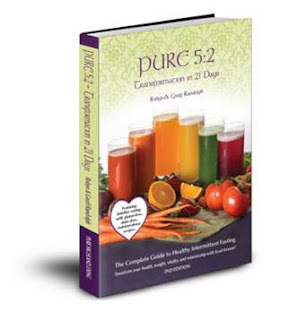 PURE stands for Phytochemicals, Unprocessed, Raw and Enzyme-rich foods. If you are interested in intermittent fasting for anti-aging, maximum vitality and healthy weight loss this book is an invaluable resource. 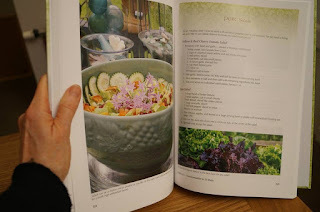 Whether you are a Paleo, raw foodist, gluten and dairy free, vegan, low-carb or vegetarian the information, recipes, and Intuitive Eating coaching in this book will take you to a wholesome new level. Based on seventeen years of teaching raw food workshops (Robyn is the author of RawSome Recipes) and working with a wide range of people with dietary and weight loss issues, we have merged both Intermittent Fasting and Intuitive Eating providing practical ways to transform people’s understanding and relationship with food". "I recived this book in exchange for an honest review. I absolutely reccomend this boo to anyone struggling with dieting before going to surgical routes. This book is full of so much information.